At Virgin Mobile, our people are our greatest asset. Virgin Mobile Middle East & Africa is led by a team of telecom gurus with over 100 years of combined experience in the industry. 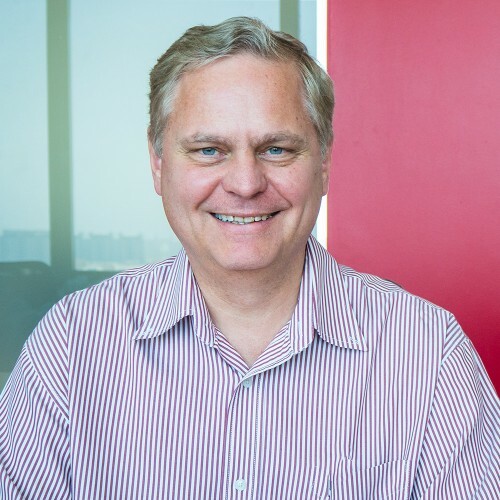 Antti joined Virgin Mobile Middle East & Africa in 2008 as the CEO for Oman. Since 2012 Antti has worked as the group Chief Digital Officer, responsible for driving digital transformation across all the group markets. 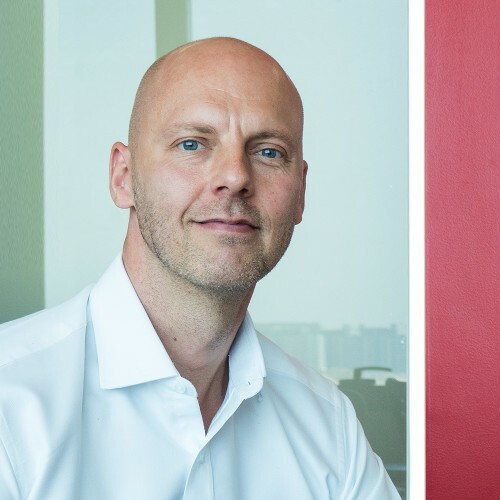 Prior to joining Virgin Mobile, Antti managed various telecom operations in Europe, started mobile services for Yahoo!, and held various marketing, strategy and venture capital roles within the European/Eurasian TeliaSonera group. Antti is a Finnish citizen holding a Masters in Finance from Helsinki School of Economics. Finland is the home to Nokia, the sauna and Santa Claus. No, Antti has not worked for Nokia. His hobbies include photography, off-piste skiing, vibrant barbecues and a ripening PhD thesis on marketing and customer loyalty. The real driving forces behind Antti are his wife Annuska, son Alvar and twin princesses Sara and Rosa. Kim was appointed Chief Technical Officer in 2006 and leads the technology division, handling strategy, architecture, tendering, deployment and operations across the region. Kim has over 20 years of experience in the telecom and IT industry and has been responsible for the development of the technical infrastructure within mobile operators, fixed-line operators and Internet service providers. Between 2004 and 2006, he served as the IT director of Nawras in Oman, where he established the IT organization and handled strategy, tendering and implementation of the complete IT system portfolio within six months. He also headed the implementation of mobile number portability in Oman. Prior to this, Kim held various positions at TDC and Contactel in Northern and Eastern Europe and the Middle East, leading successful regulator and supplier negotiations, merger and acquisition implementations and developing a strong track record for program management and change management capabilities. Kim graduated with a Masters degree in Engineering in 1986. In 1998, Kim completed an Executive MBA (EQUIS accredited) from Copenhagen Business School. Between 1981 and 1994, Kim was a Captain and Squadron leader for the Royal Danish Air Force, where he was responsible for planning and command on the field. Kim is married and currently lives in Dubai. When he is not working, Kim enjoys flying (as a pilot), jogging and travelling. Mark has been with Virgin Mobile MEA before as Chief Legal Officer and we are delighted to see him return. Following his initial time with us, he was at Thuraya, the UAE’s first satellite company, as General Counsel and at VEON in Amsterdam where he was Head of Legal for Emerging Markets. He has unparalleled telecommunications experience having worked in mobile, fixed, satellite and valued added service companies including companies such as Carphone Warehouse and Lebara in the UK. Mark is a qualified English Barrister (Middle Temple) and graduated from Leeds University in the United Kingdom with an LL B. Like all Virgin Mobile MEA people, Mark realises that work must be balanced with other stuff and when not in the office he can be found in, on or near water. Gabor joined the Virgin Mobile Middle East and Africa Team in 2015 and leads the Finance function across the whole group. Gabor has over 25 years’ experience in senior positons in the global mobile telecommunications industry and has been responsible for leading top performing teams of over 300 people. Leading the strategic and financial planning across all Virgin Mobile Middle East and Africa operating market, Gabor has responsibility for growth management, budgeting, forecasting and financial reporting. Prior to joining Virgin Mobile Middle East and Africa, Gabor was Chief Financial Officer at Wataniya Telecom Algeria. 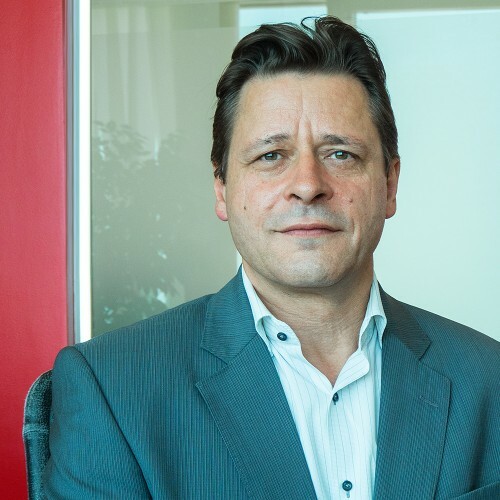 Gabor has also held senior positions at major telecommunications companies such as, BTC Mobile EOOD, Celtel Tanzania and Vivendi Telecom Hungary. Gabor graduated from the University of New South Wales, Australia with a Bachelor of Commerce (BComm – Accounting, Finance & Systems) and is an Australian CPA. Gabor is married and currently lives in Dubai with his family. He is a keen linguist and currently speaks English, French and Hungarian. 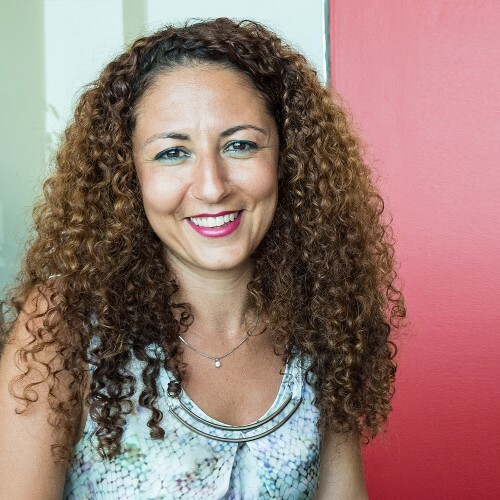 Zineb Filali is the Group People Director for Virgin Mobile Middle East and Africa. Prior to moving to Dubai with her family, Zineb started her career as Production Leader in Decathlon Morocco then she joined Virgin Mobile Middle East and Africa in 2008 to lead the People team across the Group. Zineb manages the VMMEA People Strategy and all aspects of the People life cycle, ensuring that culture and engagement, amongst other people driven initiatives, are defining Virgin Mobile as the Employer of Choice within the region. Additionally, Zineb supervises and provides consultation to management on strategic people plans, compensation, benefits, learning and development, budget, and people relations. Zineb holds a Master degree in Strategic Human Resources Management from the Middlesex University in Dubai. Zineb lives in Dubai with her husband and their two boys. She loves traveling and reading. Her dream is to experience the Skydiving. Fouad joined the Virgin Mobile team in 2015 as Chief Executive Officer for the Saudi operation. He most recently served as Managing Director of the Lycamobile Group in Australia, where he built and headed the business from 2010 to 2015 and served as Senior Vice President for the USA in 2014. He has over 15 years of executive management experience in information communication technology in Europe, Australia and USA, having managed large P&Ls and leading global teams across multiple territories and different time zones. Fouad currently serves as a founding member of the Australian Lebanese Chamber of Commerce, and he has also holds Chartered Marketer status, a merit designation of the Royal Chartered Institute of Marketing in the UK. Karim Benkirane is Managing Director of Virgin Mobile in the UAE, where he is overseeing the launch of the region’s first fully digitized mobile service, and is tasked with providing consumers and his team members with an entirely new telecommunications experience. Virgin Mobile in the UAE is a wholly owned business unit of Emirates Integrated Telecommunications Company PJSC (EITC). Karim is a member of the Emirates Integrated Telecommunications Company (EITC) senior management team and reports directly to Osman Sultan the CEO. Karim has over 17 years of telecoms experience from retail and wholesale services as well as technology providers from around the world. Prior to his position at Virgin Mobile in the UAE, Karim was Chief Executive Officer of Virgin Mobile Saudi Arabia where he was responsible for the launch of the Virgin Mobile and FRiENDi mobile brands, targeted at young Saudis and the expatriate population. 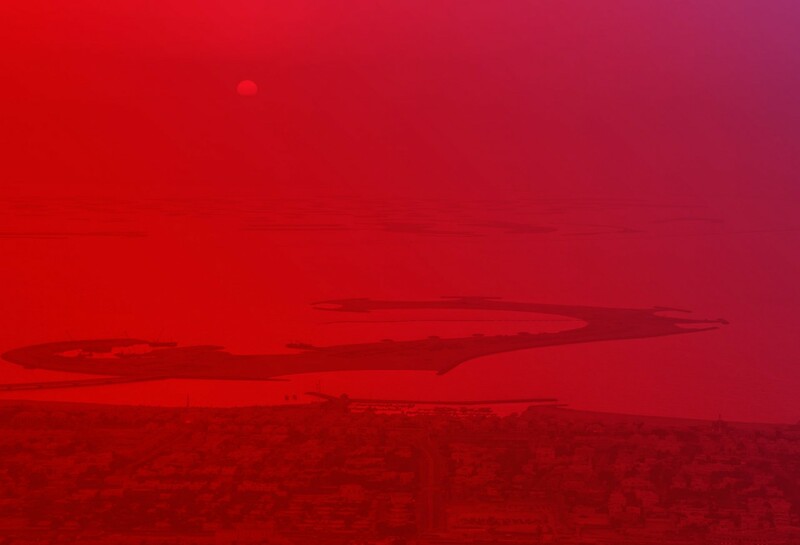 As the first Mobile Virtual Network Operator (MVNO) to launch in KSA, Karim and his team were instrumental in Virgin Mobile’s adoption of an innovative mobile-first market entry strategy and engaging digital experience, which brought the brand to life in a highly competitive and largely saturated market. This resulted in one of the lowest subscriber acquisition costs of any established mobile operator in the Kingdom. 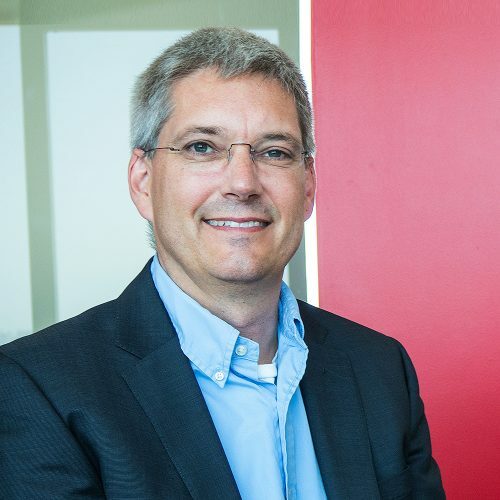 Karim was also Chief Executive Officer at KPN France, where he was in charge of the MVNO launch, sales, marketing and business development of the company. He was also Chief Commercial Officer at Telecom Italia in France where he was responsible for sales and business development. Karim holds an Executive MBA degree from HEC Paris, and has completed programs from University of California Berkeley and from the Indian Institute of Management at Bangalore. Tariq joined us in 2013 as CEO of Eris Telecom and has successfully established it as a standalone international voice business unit of the group. Eris provides international traffic termination services to the group’s retail operations. Eris, within short span of time, has established strategic business relations with over 75 carriers and positioned itself as a strong carrier of choice for the Middle East, Asia and Africa regions. Tariq is a highly energetic and dynamic professional with extensive experience in Telecom products, sales and business development, with special focus on international voice (retail & wholesale) and data center services. With proven track record of business growth for the companies like Warid, Telenor and a UK based MVNO, Tariq brings a wealth of telecom knowledge and expertise which complement our international calling offerings within the countries we operate in. Tariq is well-respected in the carrier industry and enjoys excellent rapport with large telecom companies all over. Tariq is a graduate of Electronics Engineering from Pakistan’s top engineering school, Ghulam Ishaq Khan Institute of Engineering Sciences & Technology. Tariq enjoys living in Dubai with his wife and 3 years old daughter. His great passion for nature and outdoors took him to camp at almost all possible locations across UAE last year. He is already eyeing some new locations in Oman for next season’s camping. He plays indoor cricket when he is not working or camping. Salma Al Maawali was appointed as Chief Executive Officer for FRiENDi Oman in 2018, and she brings to the role eleven years of telecom experience, six of which were spent with Nawras, Oman. In Nawras, Salma was head of planning and budgeting carrying out business planning for the marketing team. Prior to that Salma was head of management accounting in Nawras. In this role in addition to handling the company budget and reporting, she was the focal point of key projects including cost efficiency programs and benchmarking exercises. Before being appointed as Chief Executive Officer for FRiENDi Oman, Salma served as Finance Director for five years. Salma holds a Bachelor of Science in Business Administration, University of South Carolina, Columbia and Master of Accountancy, University of Nevada, Reno. Salma is also a certified public accountant (CPA)”.